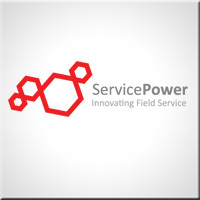 We work with ServicePower’s Optimization tool Boost to bring the power of Artificial Intelligence to field service scheduling. ServicePower service scheduling utilises artificial intelligence to optimise appointment offers and job schedules. This removes the effort of manually selecting or moving jobs – and encompasses broader criteria than filling empty space in schedules. Based on configurable schedule parameters utilized by its AI algorithms, intelligent scheduling considers factors just as technician location, over-time costs and activity during the day – providing a closer match than can be provided by rule based logic with increased flexibility. Real-time or intra-day schedule optimisation allows organisations to configure what is important to the business in the given work group, region, or country – with the resulting intelligent automation focused on maximizing the productivity of your field force to achieve the objectives.